I was in Lincoln road one day after work when I decided to finally give 5 Napkin burger a try. I had to check out the hype behind their “gourmet burger” concept for myself. The concept of a “gourmet burger” is a bit oxymoronic if you ask me, but as the times change we change right along with it I suppose. I went to the restaurant mid-week right before the happy-hour rush and found the restaurant pretty much to myself, with only a handful of patrons at the bar. 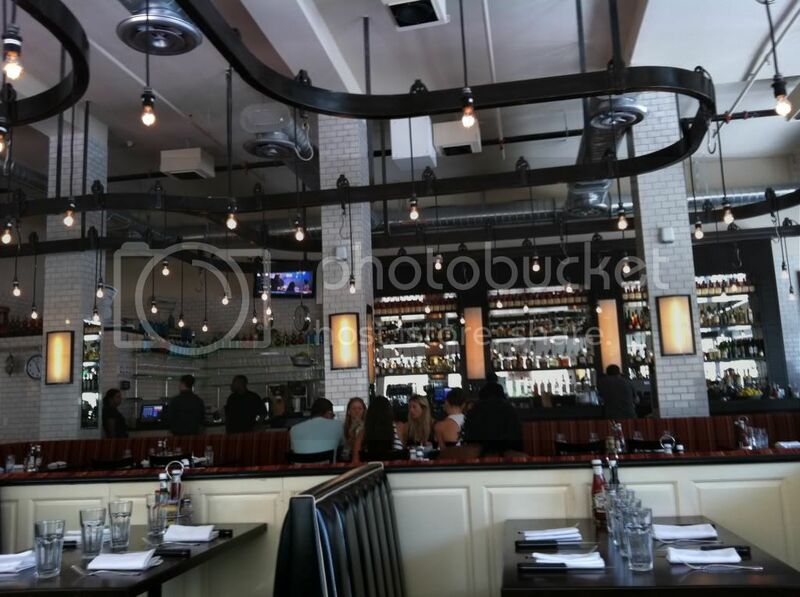 The restaurant is located in a large venue right on Lincoln Road and seats approximately 225 people total. I decided to go with their Original 5 Napkin burger which consists of 10 oz. 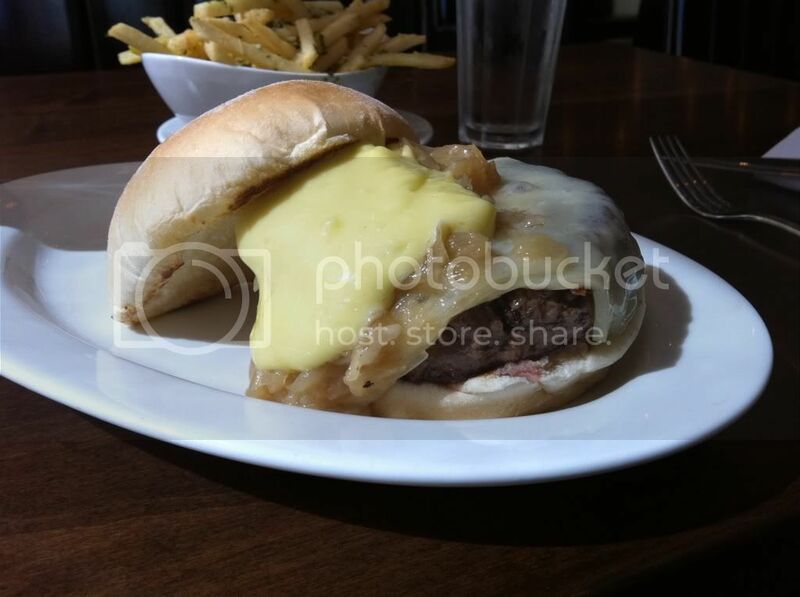 fresh ground chuck, gruyere cheese, caramelized onions, rosemary aioli on a soft white roll. My burger was slightly overcooked, but that was honestly the least of my worries. The burger wasn’t seasoned and lacked a little something I like to call ‘flavor.’ The gruyere and caramelized onions were on point and helped add some much needed life to this burger. My biggest concern however, was the exaggerated amount of rosemary aioli that was poured on top of the burger. 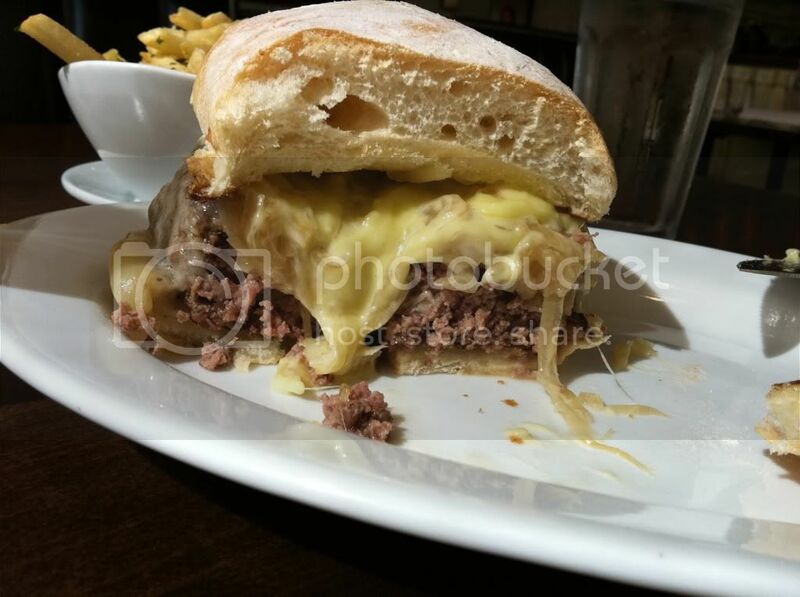 There were at least 4 tablespoons plopped on top of the burger, nothing ‘gourmet’ about that if you ask me. On top of the fact that there was ridiculously too much aioli on the burger, the aioli itself didn’t taste anything like rosemary as its name would suggest. The ‘aioli’ tasted like run of the mill mayonnaise, yet another disappointment. Along with my burger, I ordered a side of Tuscan fries. 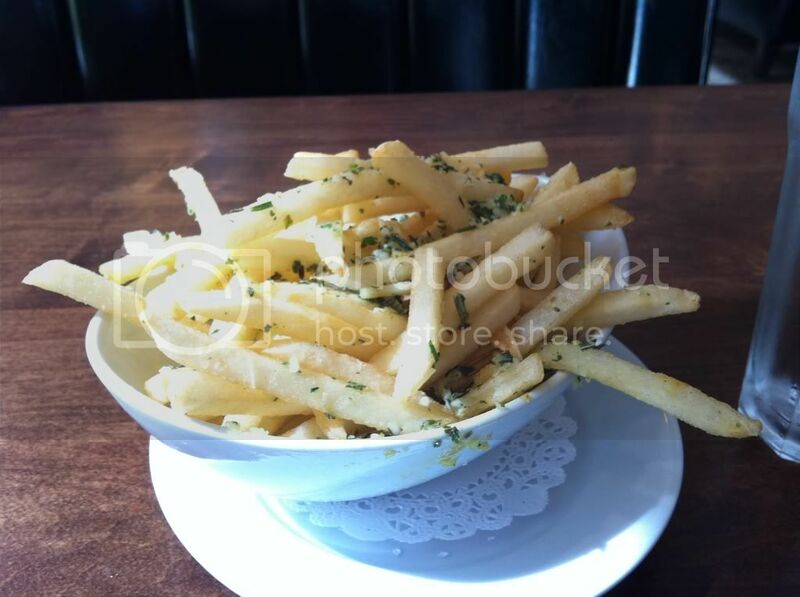 What makes the fries Tuscan is the fact that they are tossed in rosemary, garlic and parsley. The fries weren’t hot and were warm at best. However, had the fries been fresh this would’ve been a great side. 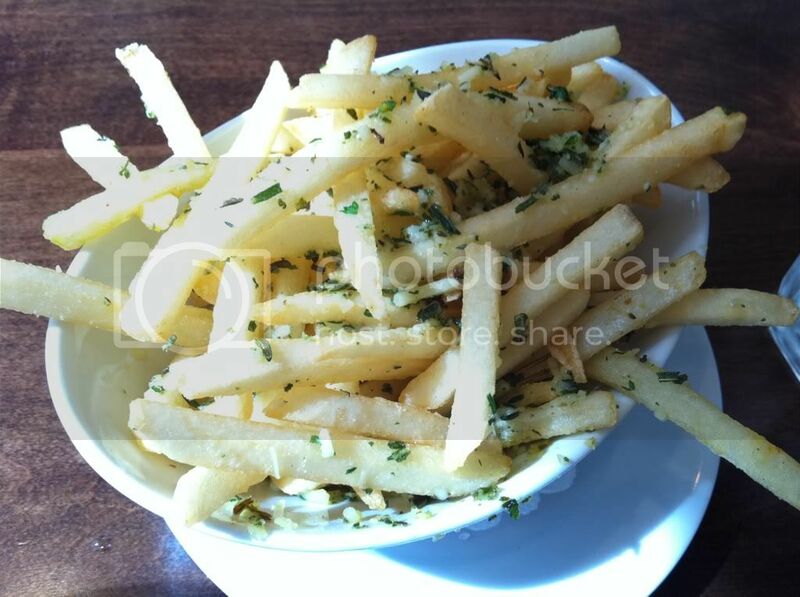 The rosemary and garlic gave the fries a great taste. The service I received was also subpar. The waitress seemed in a hurry and wasn’t very friendly. I realize that this is exclusive to this one particular waitress and isn’t a representation of the whole wait staff at the restaurant. None the less, it was yet another ding on a lack-luster experience. I was left disappointed and sad that I had just spent $30 dollars on a burger, fries and a beer. If you’re in the area and looking for a good burger, walk up Lincoln Road and straight into Shake Shack to get your hard earned money’s worth.